Nintendo is set to launch a miniature replica of its popular Nintendo Entertainment System later this week. That’s great news for longtime Nintendo fans, but what if your allegiance lies with rival Sega and its popular Genesis console (known as the Mega Drive outside of North America)? 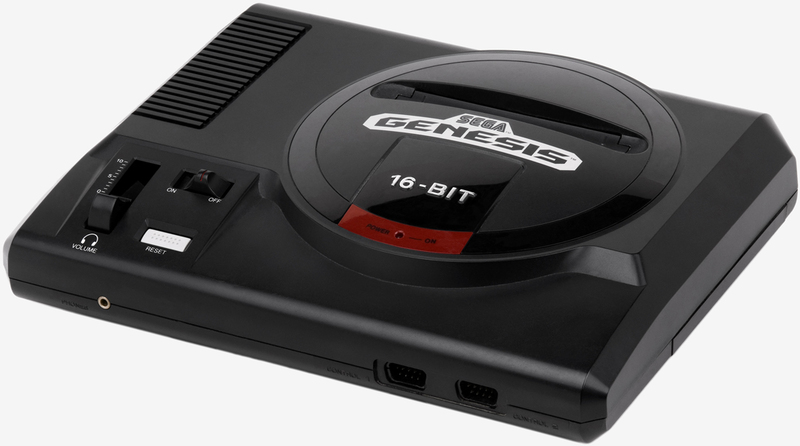 Production of the original Sega Genesis was discontinued in 1997 but as it turns out, the console is still wildly popular in Brazil with roughly 150,000 units being sold in the region each year. Demand is so high, in fact, that one of Sega’s officially licensed manufacturing partners is putting the system back into production. As Geek points out, Brazilian video game and electronics company Tectoy is now accepting pre-orders for brand new Sega Mega Drive units that’ll launch next year. Longtime Genesis / Mega Drive fans will appreciate the fact that the console also accepts original cartridge games and includes a faithfully-reproduced three-button gamepad. The bad news? Production is limited to Brazil, it’s rather expensive at 379.05 Brazilian Real ($118.44 USD) and it doesn’t have modern connections (RCA only, no HDMI). It's also unclear if the replica is compatible with hardware add-ons like the 32X or Sega CD but if I had to guess, it probably isn't. Some may also consider it to be bad news for retro console collectors as it would devalue their original hardware but I don’t think that’s really much of a concern. Those outside of Brazil may be able to get the system imported into their home country although you’d probably be best served to simply hit eBay or even local yard / garage sales where you can find original hardware and games at a cheaper price. A company by the name of AtGames also sells a Genesis clone with around 80 or so pre-loaded games but according to reviews on Amazon, it's not all that great. With any luck, perhaps a company like Analogue Interactive will turn out a quality Genesis console as it it did with the all-aluminum NES remake, the Analogue Nt. If all else fails, you can always turn to mobile games or emulators for your retro fix. I never played Shinobi or Shinobi 3. But the last release of a Sega system I saw had no "Revenge of Shinobi" which I did play and absolutely loved. I had mastered that game to the point I could play through in one sitting. Where is Contra Hard Corps? Sonic 1 and 2 as well as 3? Sonic Spinball? I won't even consider one of these things if I can't get the originals and sequels together on the same system. Fortunately, I kept my favorite game carts and consoles in plastic bins. I was already to say where the hell are they going to get the 68000 CPU's from but was amazed to find that just like the Z80 they're are still in production. Glad to see there's still life in the old dogs. If it uses real components and not one of those FPGA things and despite already owning an original, I would still be all over one of these if they decided to expand their horizons. It would be awesome just to have it for that SD card goodness. Some carts are just so hard to find these days. In someone sells this in the US I'd buy it. Wouldn't you play it for 10 mins, get bored, and go play Battlefield 1 or something else new? Well thats what happens to me whenever I play retro anyway. I realise its mostly just the good memories associated with it. Stodds13 and Duckeenie like this. It's not there but it was labeled Probotector here in the UK. It had robots instead of the human players. Still just as brutal but a bit easier as it ran slower than contra on the genesis. As for the missing games, it says it can run roms & original carts so no big deal breaker. It's the hdmi bit that breaks the deal in Europe/USA. Could just use a Raspberry Pi and retro pi, USB controller adapter... I know, I know, it's not the same. But neither is being 32 and leaving your megadrive on pause overnight as there was no save points only to find the mrs has turned it off as you left the plug on. Bigtruckseries and Johnnyblaze1957 like this. For me, I think the biggest disconnect is not how it visually looks, its how it physically feels. Holding and using a genuine NES or SNES controller and playing a game is where its at. That same game (saw it with Zelda re-releases on Game Cube, and with VC games on Wii) with a different controller is just crap. No. I play through retro games all the time. Of course games are different now - bigger, more impressive, but not always "better". Old games are not bad simply because they are old, a great many of them are still worthy of your time. Also it kind of bugs me that certain news outlets are choosing to report this as the "Genesis re-entering production", when in fact it's being produced and sold in Brazil by a third party. That's newsworthy, but the headline makes it sound like Sega themselves will be selling these worldwide, when in fact that is not the case. Not interested if it won't play roms from a portable storage device. ... why can't they just sell a controller with mini usb that you can connect with your phone and that comes with all the games and an emulator inside. It would be like... so easy and cheap and good.